A few months ago, I was contacted by a young woman, living in Barcelona, named Soraya Bartel. Soraya was inquiring whether I would be willing to collaborate by offering Crystal Healing Services through Heartgrain. At this stage of my 35-year career, I am extremely selective about how and where I offer my services. After finding out more about Heartgrain, I felt called to say: “Yes!” Now, Neil and I are both offering remote sessions in Shamanism and Crystal Healing respectively, through Heartgrain. 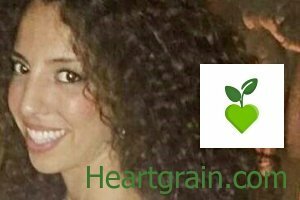 Heartgrain is the first online platform that provides easy and convenient access to the top holistic health professionals worldwide. Via the Heartgrain platform, holistic health seekers find and book remote tailored health consultations and programs directly with their best match practitioner according to their needs. Chronic diseases now affect 40% of total population according to various US studies, and often not easily treated by conventional medicine. We all know that balance of spirit, body and mind is critical to maintaining health long term. But in today’s busy world achieving this balance can be challenging — despite (or because) plenty of available health information that are impersonal or even inaccurate. When did you establish Heartgrain? I (Soraya Bartel) am the founder, and I started by myself in April 2016 and focused on building a skilled team which took me until the end of 2016. I believe the right team is key to making an idea – a vision – become a reality. Now we are 4 team members coming from the health field, marketing, web development and design – the perfect mix of skills for this project. What do you think the biggest differences are between in-person and remote consultations? 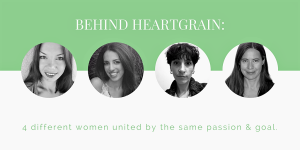 I started Heartgrain because of a personal experience that I had with a chronic skin disease. I was travelling a lot for my job and had a bit of a stressful life and on top of it those problems with the skin – the fortunate AND at the same time unfortunate thing about it was that the eczema was ‘only’ on my legs and arms and therefore not visible to clients or in my social environment. I could cover it up and that made it less a priority to finally handle it even if it caused quite some pain. I spent much time in the evening in hotel rooms trying to diagnose myself ‘holistically’ as all those creams from the dermatologist only helped for some time; once you stop applying them, it is only a matter of time until the symptoms show again because the root cause has not been eliminated! At that time I wished I could just have a consultant that has an understanding about exactly my problem and what could have caused it and can help me treat it holistically without having to go to a doctor’s office, taking almost half a day off which was impossible for me at that time. I looked for more flexibility and convenience – health accessible for me with my specific situation. My friend recommended me an Ayurvedic Doctor that I called via Skype and he helped me treat my eczema through diet advice and recommended herbs and teas that I could just order online. The best is that he was available via messaging and skype and I totally got rid of my eczema in a sustainable way because I learned for life. I grew in a way also and learned something essential. I loved the whole experience and to make a long story short: the biggest differences for me are the facts that nowadays flexibility in time and place is almost no luxury any more but standard – we want to do everything from everywhere! And the astonishing thing was that there are so, so many holistic practices that you actually can do remotely without any restrictions – such as Reiki, Energy Healing but also the more classical ones we have on our platform such as Homeopathy, Ayurveda and Naturopathy. Can you describe your most typical customers and why they use your service? Our most typical customers are people that have either experienced their symptoms for a long time or people with health goals that they haven’t reached yet and are therefore looking for alternatives. We recognized that our users mostly are limited concerning their time – busy moms or business people that know that holistic alternatives are the right step to take but do not know yet what possibilities exists, what could be the right practice or who could be the matching practitioner. If they don’t want or simply cannot spend the time for researching, then they can simply browse our platform and we can even suggest possible directions and connect them with matching practitioners. As an online platform, we benefit from the fact that our practitioners’ individual consultations and programs (30-day Weight Loss or 10-day Detox Programs) are available when and where the health-seeker wants it – of course in coordination with the practitioner. Some of our group programs do have a specific starting date by which the health-seeker has to sign up, to fully benefit from all the sessions. Our customers are mostly hesitant in the beginning about the remote consultation but are very curious at the same time so once they have had their session or program, they are in all cases we had up to now very positive! The practitioners on our platform have excellent education in what they offer and long years of experience (many of them have their own local practices where they are based). The user experience depends highly on the quality of the service delivered by the practitioner. We makes sure that this standard never changes. At the same time their prices online are lower than if you would go to their practice and this is usually an extra point that Heartgrain gets! From our practitioners we also receive throughout positive feedback and we love the fact that they help us improve through suggestions. It is a win/win – we are successful, when they are and they are successful when we are! I am also happy to say that by now I know each of our practitioners! Do you have any big success stories you want to share? I am very proud to say, that we have quite some cases, where we receive positive feedback and many times the patients also leave a review on the practitioner’s profile. The one that touched me the most, was the case of a young woman in her mid-thirties that struggled with acne on her face and back. Unfortunately she tried many things for years, such as facials, beauty products, obviously dermatologists and more – none had brought her long-term results. She got in touch with us, as she was looking for alternative ways to heal acne for good. In fact she exchanged with a couple of practitioners from our website and explained her problem via the private chat and then decided to go with a treatment from one particular Naturopath that is specializing in Gut Health and Skin Health. I tried to keep in touch with both throughout the treatment and the acne patient’s feedback was that she loved first of all the fact that she learned a lot about herself and her body (i.e. the role inflammation in the gut plays for your skin, how stress affects your skin, how food can be used as medicine to stop inflammation and ultimately heal acne). Secondly, she needed the guidance and motivation, the fact that someone can help her individually. She was very enthusiastic as her first results were already visible after only 2 weeks! She sustainably cured her acne. The treatment had many positive ‘side effects’ too – such as more energy, weight loss, clear eyes and she just felt amazing! That warmed our hearts! How do you screen and select your service providers? Currently we have a manageable amount of daily practitioners that sign up to our platform. We follow a procedure to check if the practitioners are either certified or have a highly regarded reputation (with some of the mind/spirit practitioners it is not always easy to find official certification) Still, we don’t want to withdraw those categorically. We have an Akashic Reader on our platform that wrote books about what she does that are very successful and respected by the community. This is definitely a reason for us to keep her. Of course we have practices that are regulated by specific certifications & bodies (Nutritional Therapists or Naturopaths, Ayurveda Practitioners etc.) and there we strictly check if they are registered and certified. With our present resources, we cannot (yet) market to the whole world, and that is why we are focusing more on the markets that we find the most statistically responsive for Heartgrain. Currently these are in the USA, Canada, Australia and some European countries such as the UK and Denmark. But still, we do have practitioners from all over the world offering their amazing knowledge and we get bookings from outside those countries, too. What has been the most rewarding aspect(s) of Heartgrain for you and your co-founders? We all come from fields (Marketing, Design, Sales, IT) where big pressure and competition is part of the job description. What we find most rewarding is the positive and calm environment of Holistic Health. The practitioners are so pleasant to speak to, you look forward to collaborations, because people have such a light around them. We want to support them because we want Holistic Health knowledge and practices to be part of our and all the next generation’s health education, too. In order to do that we feel like it makes sense to help practitioners communicate and connect with potential clients. The same with health-seekers: We spend a big part of our time dialoguing with them, understanding their daily struggles, learning form their stories and contribute in a way to a sustainable solution for them. We see purpose in that work. I think when you teach someone how to take care of their health they will benefit from that knowledge forever!